When you add contacts to your database, it often happens that the quality of the addresses is not what you think it is. This is where Mail Guard helps out by examining email addresses for potentially problematic issues. Maintaining good email practices is in the interests of everyone involved since it helps to maintain good sender reputations and deliverability. Mail Guard helps to identify and stop problems before they start in the contact importation process. Mail Guard is a smart and effective tool that helps to maintain our high reputation as a sender, which in turn ensures high deliverability for FreshMail’s customers. All email addresses that are added to FreshMail databases are checked by Mail Guard. Using its proprietary technology, it evaluates huge amounts of data and examines them for their potential to cause problems if used in an email campaign. Multiple aspects of the context of the email message are considered by Mail Guard before a decision to block any data is made. The content of the message, the addresses involved, past data from the same sender and other factors all have an influence. Mail Guard alerts to you addresses that could result in negative results, including damage to your reputation as a sender and sending messages that are likely to be labeled as spam. It protects the sender that uploads the data by avoiding complaints and potential ISP blacklistings while at the same time maintaining one of your most important metrics - your delivery rate. Also, Mail Guard protects you from being affected by the dangerous practices of others. 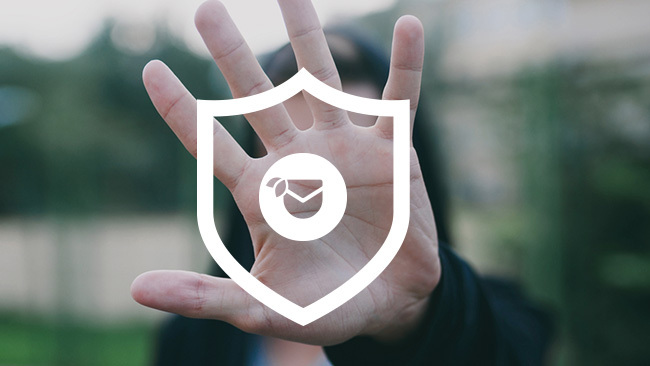 In this way Mail Guard protects all of FreshMail’s customers and their subscribers from dangerous practices and their consequences. Don’t use Mail Guard as a data verification tool - it’s up to you to collect subscriber data in a way that does not result in problems when you use it in email campaigns. Mail Guard blocks data that is decides is suspicious or likely to negatively impact FreshMail and its customers. It is a tool for supporting good email marketing practices and is not intended as a solution for a failure to build subscriber databases in a responsble manner consisistent with the basics of permission marketing. What you need to do: Nothing. Everything looks good so let’s get started with your campaign! What it means: Mail Guard has found data in your file that is cause for concern but has not placed a quarantine on it. What you need to do: You can continue with with this contact list but you need to be aware that it contains elements that may result in negative consequences for your current and future campaigns. You may need to review your subscription process and make sure that you are following the principles of permission marketing, particularly as it applies to receiving consent to receive commercial messages. What it means: The file you imported contains a signficant amount of data of questionable quality and cannot be used in your email campaign. What you need to do: You cannot use the imported list in any email campaign. It’s best to delete it and review your process of collecting subscriber addresses. 1. Why does Mail Guard quarantine my entire list instead of just the parts it has flagged? We cannot ‘clean’ your lists for you by removing the ‘bad’ addresses from your list and letting the rest of the file be used. This is known as ‘list washing’ and ISPs and spam filtering organisations don’t like it because it helps spammers with their work. 2. Can you identify specifically what parts of the list are causing the problems so I can delete them or tell me exactly what the problem is? No, we can’t because Mail Guard looks at contact lists as one whole, not a collection of parts. Besides, even if it was technically possible to tell you what part of the list was causing the problem, we wouldn’t because that would help illegal spammers to “wash” their lists, something that can cause even more problems. 3. What can I do if my list has been blocked by Mail Guard? Verify that you are using the double opt-in model for new subscribers to build your database. Using services above does not guarantee 100% that the list will be unblocked. The only person responsible for list quality is the list owner who should apply to advices included in this article. We recommend these services to pick out addresses that are outdated if you haven't sent campaigns in the past six months.